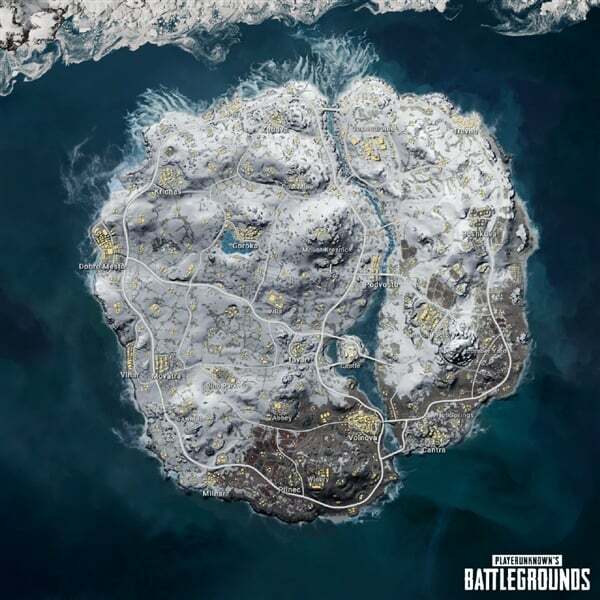 December 7, The fourth-dimensional map (Vikendi) finally! The size of the map is 6*6, which is the new battlefield that is most suitable for winter. The overall game is faster than Allenge and Miramar, and it is able to play more unique/creative games than Sano. Before the game starts, players can use snowballs (20 snowballs) and the vehicle will be more slippery in the snow and ice area. Therefore, when driving a vehicle in an ice and snow area, the initial acceleration is slower than in a normal area, and it is easier to slip when moving in a high-speed direction. It should be noted that when driving a vehicle or walking in the snow, a rut or footprint will be left. With this function, the player can confirm whether there is an enemy nearby, but the trace will disappear after a while. Unlike other maps, a three-level helmet is available at Vivendi, and the third-level vest appears more frequently than other maps. 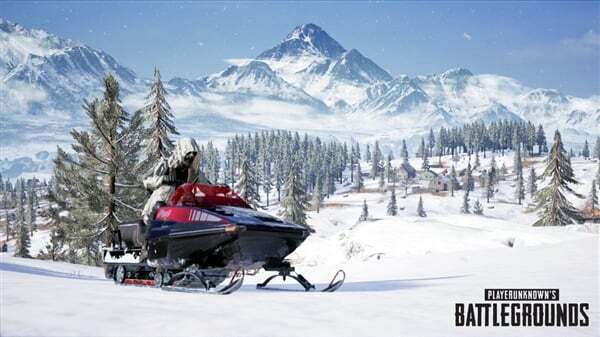 New maps have added new vehicle-snowmobiles. Snowmobiles can only be used in Vientiane, up to 2 people and are more suitable for driving on snow.